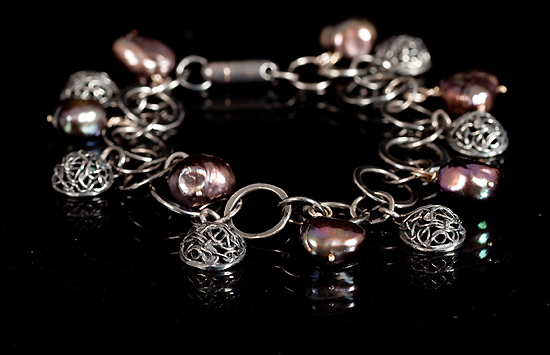 Oxidised silver bracelet with little wire hemispheres and lucious dark pearls. 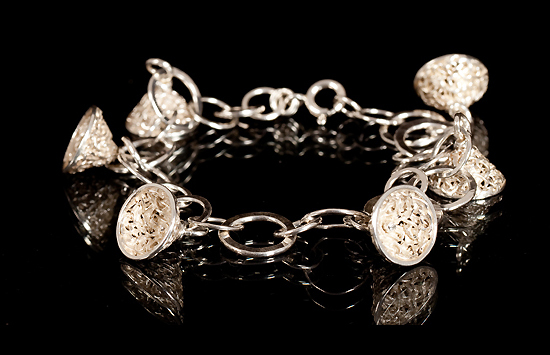 Just in silver this bracelet is decorated with intricate wire cones. 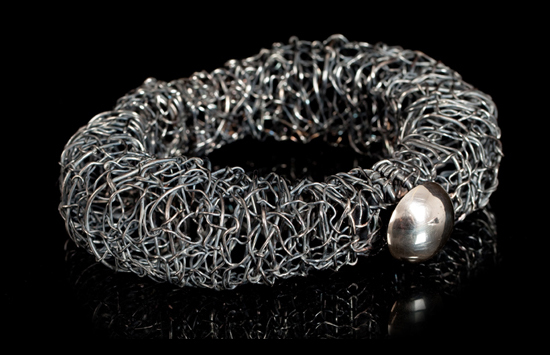 Make a statement with this chunky oxidised silver bangle with big polished button catch. 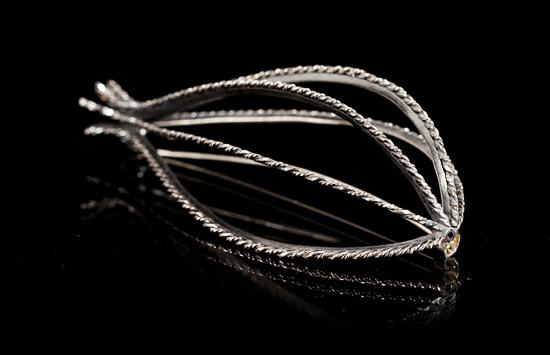 An elegant brooch made from granulated silver wire. 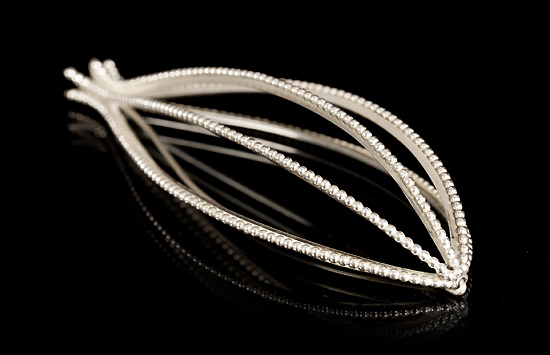 Sculptural pod form brooch in twisted and oxidised silver wire.